Niantic and Mitsubishi Investments - DigiLens Inc.
DigiLens has been at the forefront of innovating new tools to streamline waveguide display design, simulation, fabrication and test. We had to, ever since developing our first waveguide head-up display called AeroHUD, an FAA certified HUD fitted to small aircraft like the Embraer Legacy 450 and 500 jets. For those that are interested, HUDs evolved from gun sights (illuminated sight focused at infinity) used on aircraft way back in World War I. More elaborate versions with overlaid radar tracking ,emerged later during WWII. But for civilian applications which DigiLens serves today, HUDs are a cockpit display to increase pilot performance and safety, providing information to the pilot about airspeed, altitude, flight path, energy trends and other critical flight data, directly into the pilot’s line of sight. This enables the pilot to fly eyes forward in all phases of flight, even in very poor weather like thick fog or typhoons. 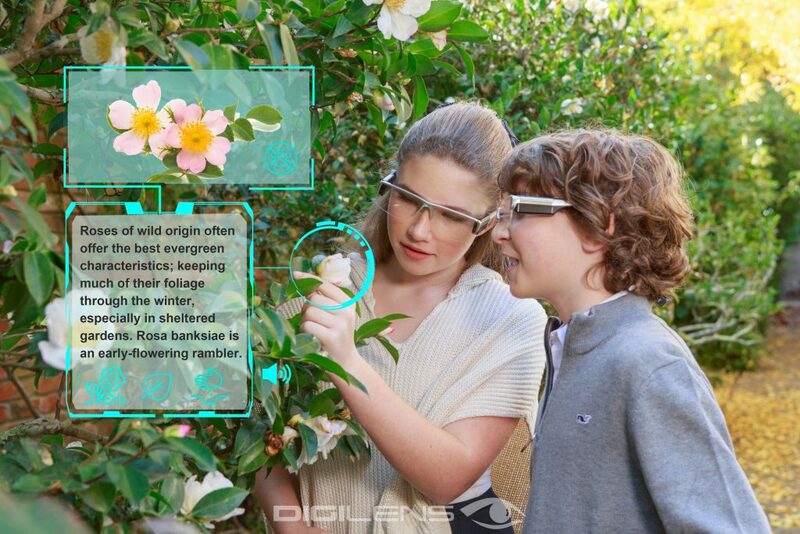 This summer, Avionics International contemplated that the DigiLens waveguide HUD may well become the new standard for HUDs…We sure hope so! Our company announcement this week of two new strategic investments from Mitsubishi Chemical Holdings and Niantic Labs is particularly exciting. Mitsubishi is the word leader in advanced plastics, and we look forward to a long relationship focused on reducing weight and cost of AR waveguide optics. (Curved anybody?) I think back to the early ARMY sponsored SBIR research we performed years ago, verifying our RMLCM photopolymer materials compatibility with plastic substrates. Of course, like many millions of avid outdoor Pokémon gameplayers, our whole team looks forward to accelerating our efforts to bring wearable displays to the consumer. To that end, we are particularly excited for the official launch of our latest eyeglass display called EyeHUD, initially aimed at enterprise applications, but these glasses will migrate to the consumer as component ecosystems develop, supply chains build (with more DigiLens licensed manufacturing), and costs fall. Look out for our EyeHUD launch at CES2019. Over the years DigiLens optical waveguide design tools, along with the essential training to use them, has become a mainstream service we offer to our licensed customers and partners. This year there has been a significant uptick in training amongst our manufacturing partners. For 2019, the occasional workshop of past has now become a formal quarterly training course, the “notes”, a formal digital document set and updated software tools (called DigiLens “Spot-on” and “Right-on”), along with dedicated optical support engineers and release schedule. There is so much interest amongst the optical engineering community to learn waveguide design for AR devices. I often joke with the team that we will perhaps one day run a DigiLens waveguide training course at the Optical Society of America (OSA) conference I regularly attend…Who knows? Alongside our Optical Engineering group, who strive to enhance efficiency and utility to waveguide design, we have our Materials and Manufacturing Process groups. These teams are dedicated to ensuring our holographic photopolymer material remains the highest performance in terms of index modulation, which ultimately translates into optical efficiency and wide field of view performance. Using both the optical tools and materials, the manufacturing group has recently pioneered inkjet deposition technology for waveguide volume manufacture. The innovation here is not only the precision coating of our material, but also a breakthrough process for dynamic patterning and refractive index adjustment during coating. This has enabled new methods of graduating waveguide light extraction, powered by our optical design tool “Right-On,” where simulations can be immediately “printed” into parts. To help explain the benefit of this process innovation, crossing the chasm between Optical Design tools and “Spatial Modulation” deposition of varying (mix-on-the-fly) refractive index material, watch this short informative video. We think this DigiLens waveguide technology is going to be transformational, not only in being able to print many different design variants per hour so collapsing traditional waveguide development time, but also in being able to digitally re-program mass production parts on the fly. For our manufacturing licensees, as increasingly efficient lower cost waveguide designs are perfected in weeks vs. months, changeover time will be measured in minutes. Now that’s progress!